What are the best herbal cold remedies? There are many which I will go through here, depending on your symptoms and needs. A few years ago, after working way too hard with very little rest, I came down with a bad cold and flu. I called my friends who are also naturopaths for some suggestions. "Do you have this on hand?" they asked. "No." ''Do you have that on hand?" "No." I learned my lesson! 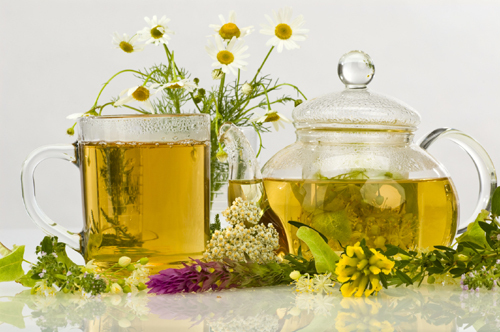 It's important to keep herbal cold remedies on hand, as they must be taken at the very first symptoms. Now I keep a few things (listed below) in my ''Natural Pharmacy'' and I haven't gotten sick since! Each time I feel a sore throat or any small cold symptoms coming on I take these herbs and kill it off before it sets in. So worth the small investment! I've also saved many clients from getting sick by recommending the following herbal cold remedies. This will boost your immune system and keep the virus from multiplying. It is good for both viral and bacterial infections, colds and lowered resistance. Echinacea is pictured on the right. 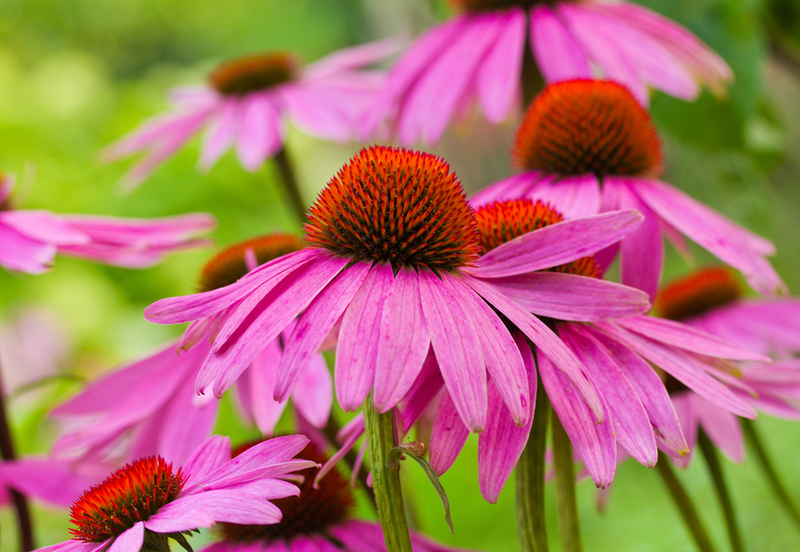 Caution: Never take echinacea or goldenseal for more than a week at a time. This is not something to be over used or when you need it it won't be effective. People with cardio vascular disease, diabetes or glaucoma should consult their doctor before taking goldenseal. This is a native to Mongolia and China, it helps strengthen the immune system. It helps promote the multiplication of white blood cells that are vital for fighting infection. Olive Leaf Extract specifically enhances the immune system with its powerful neutralizing constituents, without harming beneficial bacteria. Olive Leaf Extract disrupts the growth of bacteria and viruses and also stimulates the activity of important cells in the immune system that fight infection. Can help relieve congestion. Place 6 drops in a bowl of steaming hot water. 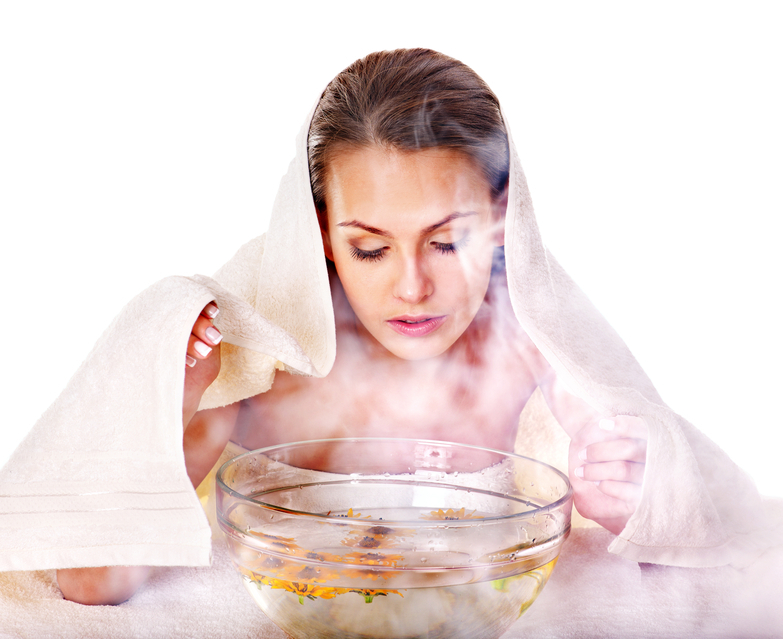 Place a towel over your head and inhale the steam for 3 to 5 minutes. Be careful not to have the water too hot so you don't scald yourself. is excellent in helping upper respiratory infections. Research has found that eldeberry is effective against colds because it contains antioxidant flavonoids that protect cell walls against foreign substances. Many of my clients who have young children purchase a chewable Eldeberry and vitamin C supplement from me. This keeps their kids healthy all winter long. Contact me to find out more. It contains numerous protective antioxidants and protects the immune system. may shorten the duration of a cold. These are much better than the lozenges bought in a pharmacy which are high in sugar. Sugar depresses the immune system! Reinforce the immune system to help combat infections. is beneficial for colds, fever and digestive upsets. Ginger can be used for colds and flu, it is a natural decongestant. It is a diaphoretic which will help you sweat and bring a fever down. Before you go off to the store to stock up on some of these herbs, remember that many companies are out to make money and some supplements are not concentrated enough and might not work. If you buy just any kind of inexpensive supplements they probably won't be effective. If you want to be guaranteed to get the best quality supplements that will work, I would be happy to let you know how you can get 20 to 40% off the retail price. Contact me for more information on how to buy the supplements mentioned here and what amounts to take for you and your children.